Ukraine, Kiev – 2015. During the Euromaidan revolution of 2014/15. 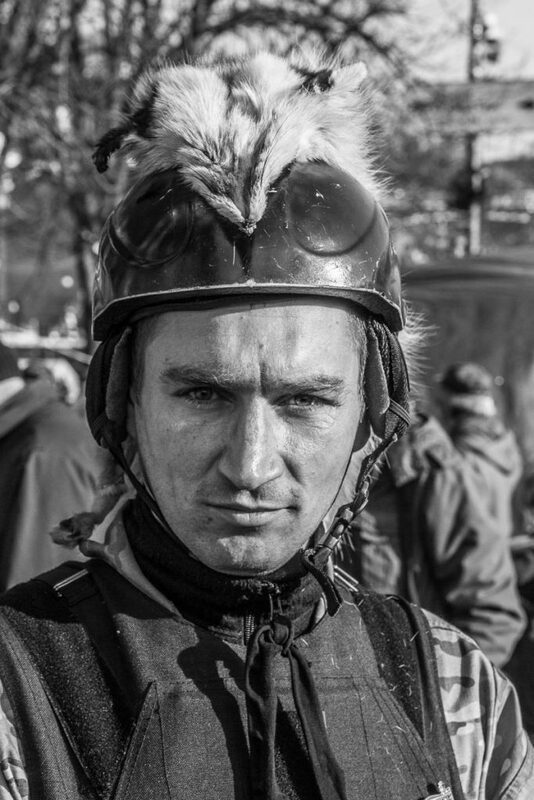 The defenders of the square had held out against snipers, widely believed to have been sent to Ukraine by Russia, armed only with tin hats, wooden shields, and in this mans case, a personal touch of a fox fur.